In order to attract the best talent, you need to create a better candidate experience. 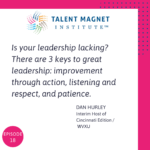 How do the candidates you interview for jobs feel about your organization? 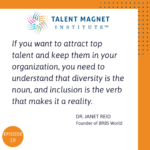 Today we have the founder and Founder & CEO of Hello Hire and member of the Talent Magnet Institute Faculty, Todd Markle. 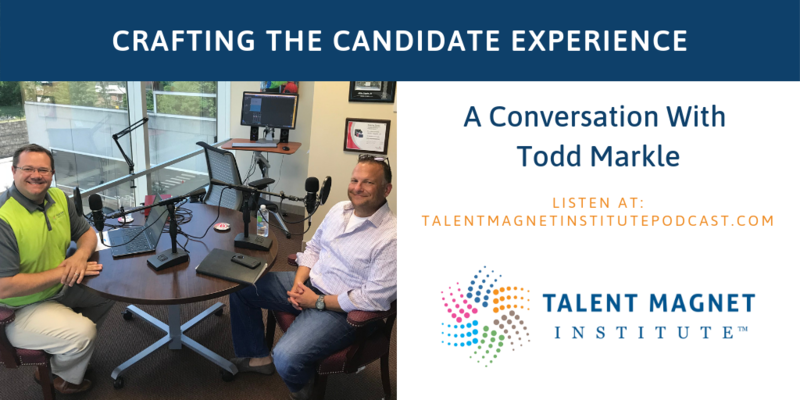 Todd Markle is a global expert on candidate experience, and we’re very excited to have this discussion today about candidate experience, employee experience, and the impact that can have on your business. Why invest in your candidate experience? First: Great talent is getting more and more difficult to find. Employers are beginning to realize that in order to attract talent, they need to provide a better candidate experience. Second: Organizations are starting to think about how the candidate experience can impact their customer experience. People who go through the recruiting process are potential customers, and when someone applies for a job and has a bad experience, the odds of them returning as a customer are not great. The numbers can get pretty big, pretty fast, so Todd considers this to be a no-brainer reason to invest. Third: Candidates are starting to expect to interact with employers. 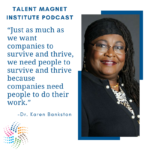 They’re looking for things like transparency and quick feedback, and employers who are moving in this direction are already reaping the benefit of attracting great talent to their organizations. You want to get people excited about working for your company, but also be transparent about the challenges that come with the job and what it’s really like to work there. Some jobs aren’t necessarily glamorous and it may involve getting hands dirty, but it’s all about telling an authentic story. It’s important that the employment brand is authentic. One of the worst things that can happen is for a current employee to see the brand messaging and go: that doesn’t seem like where I’m working right now. That’s when you run into trouble. There are so many different technologies in the talent acquisition space, and many of these tools touch the candidate experience and the employment brand. But there is so much happening that it can be difficult to know what to do. Todd shares that he and Hello Hire begin by asking: For your talent function and objectives, what are you trying to accomplish? For example, a step forward in the transparency element for candidates would be giving them the ability to check on their status, perhaps a portal where they could log on and see that the company had received the résumé, or that it had been sent to a hiring manager. The world has become so transparent, but the recruiting process is still a void that leaves candidates wondering what happens next. It’s not the intent of any organization to have poor communication, they just have many other plates spinning, so this would be a step in the right direction. Typically, as a first step, Todd shares the Candidate Experience Model with his clients. 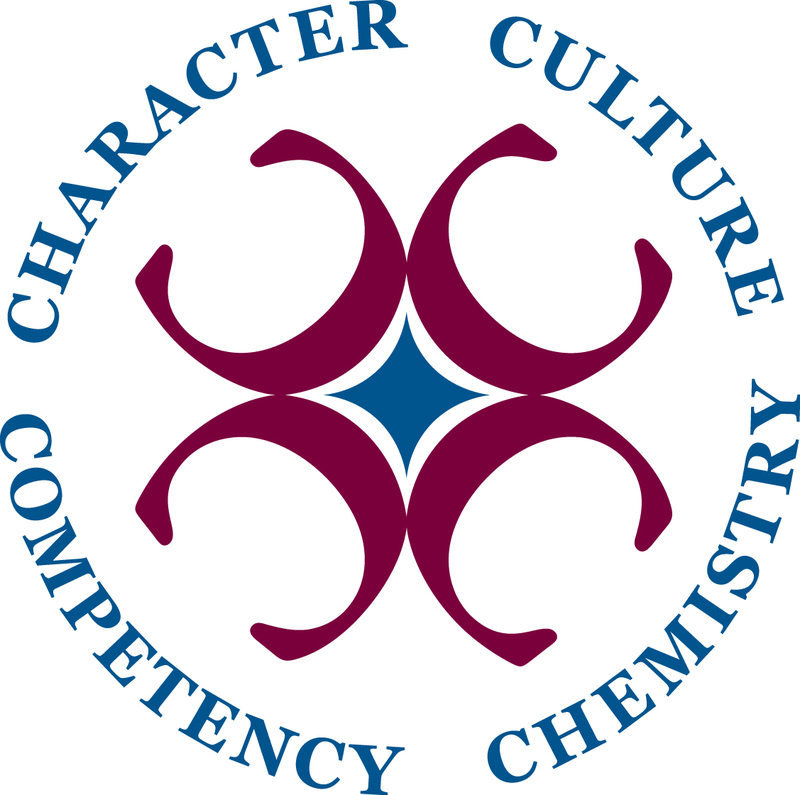 There are four areas to look at: discovery, application, interview and selection, and close. The goal is to have people walking away from the recruiting experience feeling positive about the company, regardless of the outcome. Under each of those four areas, Todd talks about the different things they look at, and from there, paint a picture of where the company is today, what’s working really well, what the potential gap areas are, and finally, prioritizing the next steps.